Why Are There Flies on My Roses? Roses can experience two major types of flies: syrphid flies and rose midges. One of these is actually a beneficial insect and the other means big trouble for rose plants. Flies pass by rose plants because they're a naturally occurring outdoor insect, but if you notice flies hanging around your rose plants repeatedly, you may have a problem. Flies eat blossoms, causing them to wither and fade. 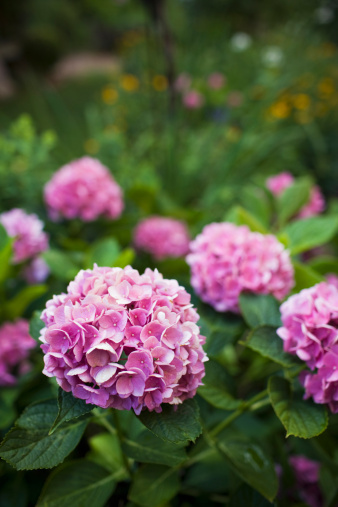 Plants that are neglected or are not receiving adequate care tend to experience more pests than those that receive better care, but there is no guarantee that your plant will have a fly-free season. Unfortunately, flies and other garden pests are natural. However, providing your rose with the right care and treating the flies can reduce any problems. The rose midge is a destructive fly that can greatly harm rose plants. Adult rose midges lay eggs in the flowers; hatched larvae munch on flower buds. The affected flowers can wither and turn black. Larvae pupate in the soil beneath the plant, leading to a new generation of flies near the roses. If you don't break the cycle, your plants will suffer. Syrphid flies also enjoy roses, but these insects are beneficial since they eat aphids, another rose pest. These flies look like wasps, not flies, and feed on rose nectar. If you see these flies, there's nothing to worry about. 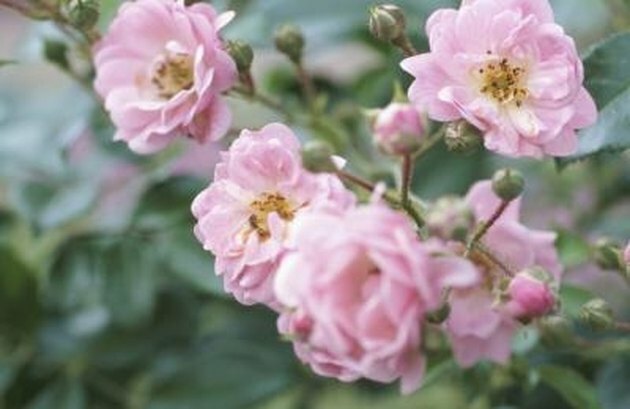 Control rose midges with insecticides. Look for an insecticide that is approved for use in your area and apply the insecticide per the manufacturer's instructions. If you prefer natural pest control, use beneficial insects to eat the flies. Purchase predatory wasps online or at your local nursery. Placing landscape cloth below your roses means the rose midge larvae will fall onto the cloth to pupate. You can scoop up the cloth and throw it out, reducing your midge population. Good care cuts down on pests. Prune off dead branches and deadhead spent blossoms to maintain a neat bush. Water roses when the soil feels dry to the touch, until the soil becomes saturated. Watch for signs of diseases or pests so you can take action quickly and reduce potential harm to your rose. 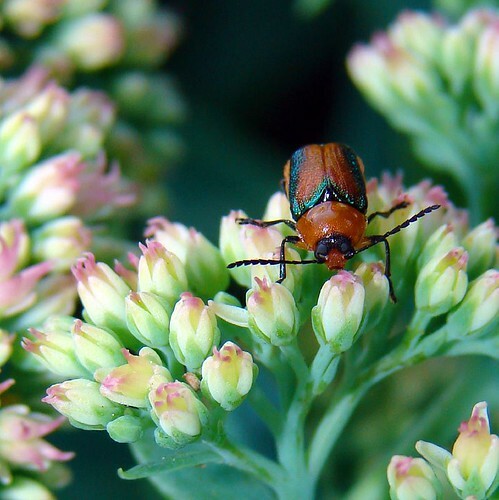 What Is Eating the Sedum Plants?